I hope she doesn’t take it too far. 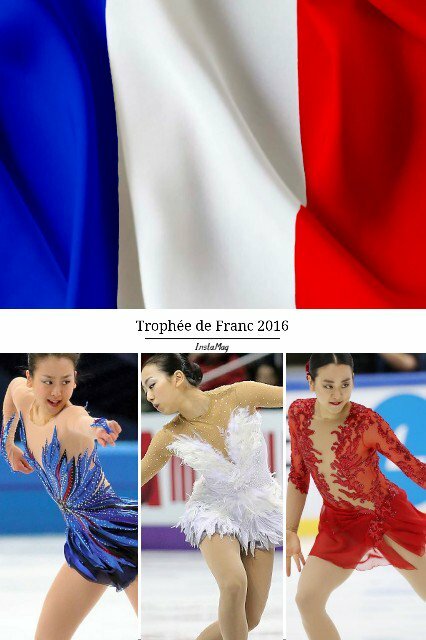 I believe France will make Mao's performance more artistic. The atmosphere is stimulating. Looking forward to seeing her free program. Mao thinks today's result possitively. I think that is everything. Tommorow I will be an early riser to set an alarm clock. I'd like to see her live performance. And other skaters, too. Gracy and Mao make competition more exciting and higher. Hey I am SO late! Anyway, I hope and pray that Mao recovers. It's well known that she is not feeling well prior, and she finally admitted that she is not in good condition. All I hope and pray for is that she is going to recover. It's heart breaking for us Mao fans!